Co-pay A fixed amount you must pay at the time of service. It is common for insurance companies to charge the patient a co-pay for most office visits, urgent care visits and emergency room visits. Deductible A fee you must pay before your insurance pays for services. Usually, preventative visit are covered and the deductible fee and copay do not apply. However, this is not always the case. Your insurer may charge a fee for some well-visit services. Deductibles are reset annually. Co-insurance A fee you pay even after your deductible has been met. It is usually a percentage of the service up to a certain amount. It is typical to pay co-insurance for services such as labs, medical tests and procedures. Co-insurance amounts are reset annually. Multiple Insurance Policies If you have more than one policy or your child is insured by more than one parent, please inform us! We will need copies of all insurance cards. You will also need to contact your insurance companies for a Coordination of Benefits to ensure your child’s visits are paid for by the correct insurance. The insurance companies determine which is primary and secondary and you are legally responsible to let both insurances know of other plans. We must file with the primary insurer and if they do not cover the visit, we will submit to your secondary insurer for you. If one insurance policy is cancelled, make sure you update your carriers as soon as possible in order to avoid insurance processing errors. If you have both private and Medicaid policies, private insurance is always primary and Medicaid is secondary. Medicaid may cancel your benefits if you fail to inform of them of your primary coverage. Responsible Party Payment is expected at the time of visit. The responsible party will pay the fees for services rendered. You may pay by cash, MasterCard, Visa or Discover. In the cases of divorced parents, we do not involve ourselves in intra-family disputes regarding the financial responsibility of a bill or account. In cases of dispute, the parent or person who brings the child to the office is considered responsible. All co-pays must be paid at the time of the child’s visit regardless of who accompanies the child. In the event that a friend or relative brings your child to the office, we ask that person to be responsible for paying the bill or co-pay. When Your Payment Is Due We will collect any co-pays from you at the time of the visit. Within two to four weeks after we file your claim, your insurance company sends us payment (if the visit is covered) with an EOB (Explanation of Benefits) that lists the costs they are responsible for, what cost you are responsible for and what we must discount (or write-off). You will receive an EOB also. Please make sure you read it and understand your portion of cost sharing and call your insurer if you question their fees. We mail patient statements out every 4-6 weeks. 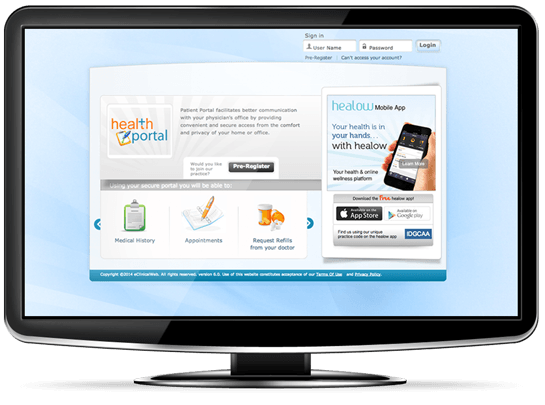 If you have a patient portal account, you can also view the statement online. Even if you do not receive a statement from us, you are still responsible for your balance and can pay us when you receive your EOB. You can pay with a credit card through our website, mail payment, or call the office to make payment with a credit card. If you have an outstanding balance and are in the office, we will ask for payment for the balance. Sometimes, this balance is new and you will not yet received a statement from us. You are welcome to pay at the visit, or wait until you receive a statement. We appreciate your paying your bills promptly. All balances not paid with 60 days may be turned over to a collections agency. If your account is sent to collections a charge of 30% of the amount due will be added to the balance of your account to cover the collection agency fee. If you need a payment plan, please call the office to make arrangements.